Affordable Remodeling Solutions Inc. is a small family owned company whose values, ability and work ethic all reflect its owner, James Macias. 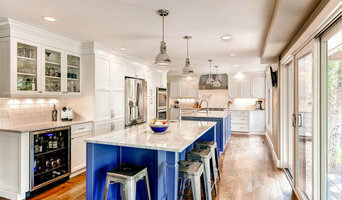 We hold ourselves to a high standard and will go out of our way to try and meet your needs and endeavor to give the look and style you are desiring for your remodeling project. Our goal? To take care of our clients as if it were our home or business; it’s this culture that separates us and elevates us. HONESTY, INTEGRITY, QUALITY! No one handles your home improvement projects with greater care and expertise than we do. For over 13 years, we have rendered exceptional home renovation services to countless homeowners in the area. Hiring our reliable company to take care of your home renovations is an assurance of receiving long-lasting results with a quick turnaround time. Anytime you want to optimize your property’s market value through home improvement, we will be happy to assist. Whether you require minor carpentry work or a complete home renovation, we ensure you get the maximum benefit for the time and money you invest. 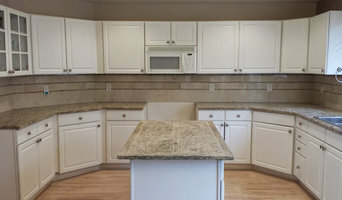 With a penchant for quality, we make sure your kitchen, bathroom, and/or basement remodeling projects are done efficiently and with the utmost care. We are always willing to accommodate our clients and are happy to furnish you with on-site estimates free of charge. After inspecting your property and discussing your expectations, we will provide you with an honest and upfront breakdown of the costs. True to our name, our business offers its premium services at the most competitive rates in the Commerce City area. Treating every home improvement project as a partnership, we welcome client feedback every step of the way. Trusting our renovation experts with your home improvement projects means all major and minor details will be completed to your satisfaction. Having acquired RRP and Lead Based Paint certifications, our BBB-accredited business maintains the highest standards in safety and quality at every job site. With so much to offer, it’s obvious why Affordable Remodeling Solutions is the top home improvement contractor in Commerce City. Denver Exclusive Kitchen and Bath Designer Best of Houzz 2013-2018! Godden | Sudik Architects is a national, award-winning Colorado architecture firm founded in 1992 specializing in high-end custom, single-family and multi-family homes. At Godden | Sudik Architects we value every client relationship and are devoted to making the process of designing your home unique and enjoyable. It is our mission to make certain that your expectations are met and ideas for your home are portrayed accurately. Full-Service Interior Design Studio and Showroom. Nationally recognized as one of the Top 20 Firm in the West, and winner of ASID Crystal Awards. Denver Design Group believes that everyone deserves to love their home. No matter how big or small we strive to create spaces that reflect your personal style and bring a smile to your face when you open your door. We draw on our expertise and experience to provide clients with unparalleled customer service, careful planning, creative problem solving and a commitment to efficacy. 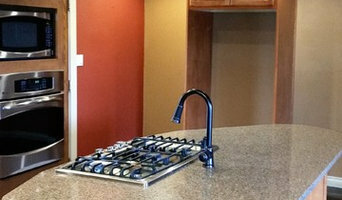 We are a full-service interior design firm that specializes in kitchen and bath design. Denver's Leading Architectural Development Firm | Best of Houzz 2018! Beautiful, functional, distinctive MODERN ARCHITECTURE created just for you. HMH Architecture + Interiors is a leading Colorado design studio guiding people to realize their dreams and create beautiful homes that are functional, very livable and respect the environment. We believe that great architecture transcends style and trend, and is both modern and timeless. We create visually stunning architecture and undertake a variety of projects including custom homes, additions, and interior and exterior renovations. As a small firm, our principals work on and take ownership in every design. This means your project is always in focus resulting in shorter duration and reasonable fees. The best designs are the result of a strong collaboration and we strive foster a fun, and satisfying experience with our clients – our goal is simply to create beautiful, comfortable, well-crafted “Colorado Modern” designs that improve with time. We have been building homes in the Colorado Front Range area since 1995 and we are passionate about transforming your house into a valuable asset to inspire your life. Petra Custom Builders specialize in the construction of custom homes, additions, renovations and basements. Staying completely customer focused, we provide unparalleled service, state of the art design, and quality construction to all of our clients. We achieve our mission by paying close attention to detail, using innovating high quality products, and obtaining and keeping experienced staff who strive for excellence. We operate by the timeless business principles of quality, efficiency and integrity in all that we do. Ultimately our success is measured by our ability to adapt to new challenges while maintaining high standards by always embracing the values of accountability and reliability. Whether you're starting with a blank canvas, or redesigning a home where you have lived for many years, Shadow Creek Homes is dedicated to creating a beautiful environment for you and your family. With over 50 years of combined home building and remodeling experience, we will transform an idea into the living space that fits your lifestyle. Call to speak with us about bringing your vision to reality. 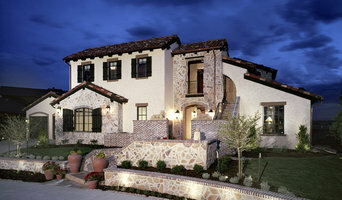 KD Project Design is a full service design firm specializing in residential remodels and additions. Our goal is to breathe new life in to a home to give it modern day function through thoughtful and creative design. After all, the best green building is a project that can preserve an historic structure and its history, while improving its function and energy efficiency for the future. We pride ourselves on exceptional client communication and a connection beyond a business relationship to create a collaborative and successful design for your home.